Image of Voyager team members began their careers in the early days of the mission. From the first detection of active volcanoes outside Earth to the first up-close images of Neptune, the 40-year Odyssey of NASA's Voyager mission is full of unforgettable memories. Voyager 1, the farthest human-made object, launched on Sept. 5, 1977, and Voyager 2, the second farthest, launched on Aug. 20, 1977. 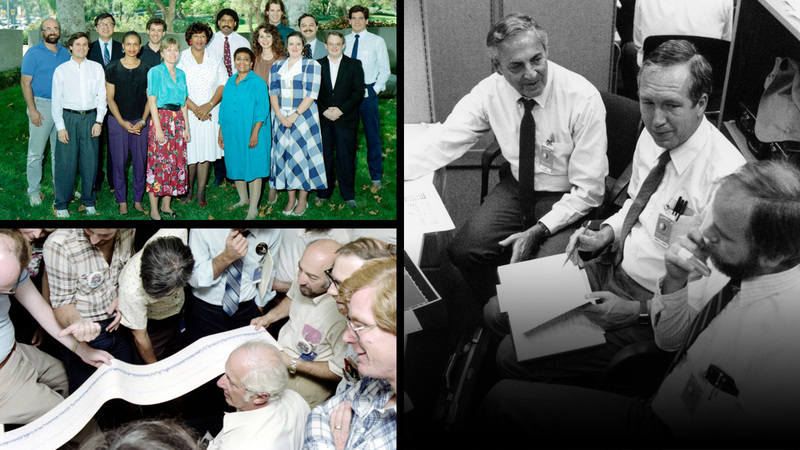 In honor of their 40th launch anniversaries, we asked scientists and engineers who have worked with the spacecraft, as well as enthusiasts inspired by the mission, to share their most meaningful Voyager moments. Some Voyager team members began their careers in the early days of the mission. Designing science sequences for the 1986 Uranus encounter was a first job after college for Suzanne Dodd, now the Voyager project manager: "We were making history," she said. Jamie Rankin, a current graduate student at Caltech in Pasadena, California, started working with Voyager Project Scientist Ed Stone just days after Voyager 1 entered interstellar space in 2012: "Every day as a graduate student here is like living in a legacy of discovery," she wrote. The era of exploration for Voyager continues even now, as showcased in a video about the mission. The twin Voyagers still send signals from deep space every day and collect valuable information about their environments. Voyager 1 is in interstellar space, while Voyager 2 is expected to cross over in the next few years. "The wonderful thing about the Voyager journey is not just that it's 40 years long, but in fact, it's still discovering new things because it's going where nothing has been before," Stone said.